This information is valid as at the date of posting and may not be valid in the future. Please visit the "Ground Levels and Retail" floor at my office for updated information. From L$100 per week - ground area only - 1024 sqm, from 85 prims/LI. All objects would be removed (the fence and gate are optional). Extra prims/LI are L$1 each weekly. The minimum rental period is two weeks. L$158 per week - full parcel - 512 sqm with 175 prims/LI. Close to Bear Infohub, one of SL's busiest infohubs. It is also located on a road junction. This location is ideal for a business. L$560 per week - full parcel - 1024 sqm with 700 prims/LI. All objects would be removed. The minimum rental period is two weeks. 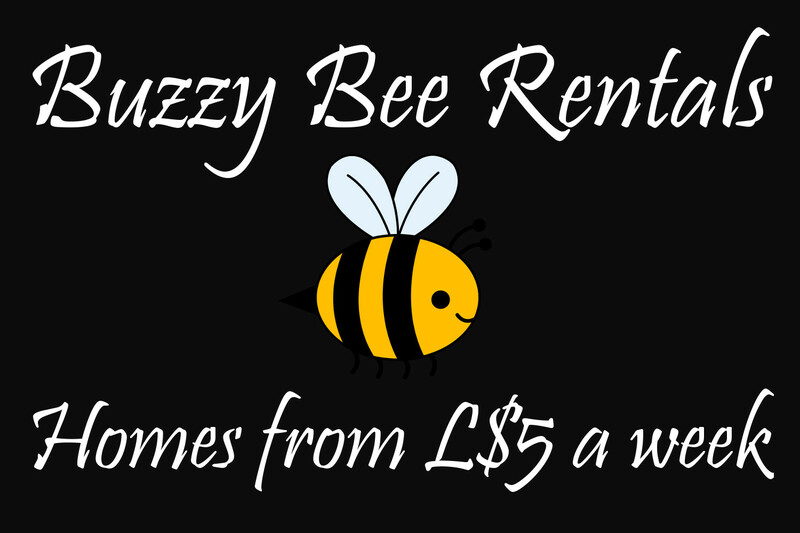 One small shop is available for rent next to the Buzzy Bee Rentals office in General-rated Dzalarhons, next to the Route 8A mainland road on the Satori continent. The minimum cost is L$30 per week with 10 prims/LI. More are available at L$1 per prim/LI per week. The shop's land-parcel can be updated with your business name, description, texture and music channel. A sign can be added to the front of the building. For an additional L$30 a week (Linden Lab's charge) I can list your business in the SL search engine. An information box can be found inside the available shop. Alternatively, contact Bee Nexen inworld for further information. CONTACT BEE NEXEN INWORLD FOR FURTHER ENQUIRIES.